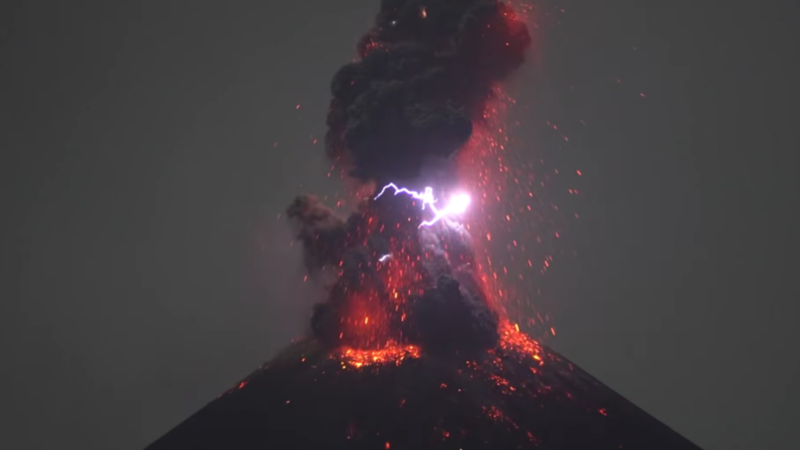 Mother Nature produced a light show made of lava when Indonesia’s Krakatau volcano erupted, scattering fiery specks and volcanic lightning into the night sky. The entire display was caught on video. The beautiful footage shows the volcano, known for its violent eruptions, shoot ash and lava from its crater in a way that can only be described as mesmerizing. But what was even more dazzling was that the volcano managed to create its own lightning, a rare and remarkable occurrence that only takes place when the conditions of the eruption – from lava temperature to the size of the ash plumes – are just right.